Welcome to Darek Mihocka's Emulators web site. Since 1986 our team has pioneered the development Atari 8-bit, Atari ST, and Apple Macintosh emulators for Intel based PCs, published conference papers on portable emulation, and contributed to third party emulators such as Bochs and Hatari. Today we focus our efforts on new emulation work for the expanding universe of ARM64 processors and devices - the computing platform for the 2020's. Thank you to everyone who attended the Vintage Computer Festival 2019 in Seattle, March 23-24 2019 at the Living Computers Museum. Emulators.com exhibited our original 1979-1993 era Atari 800, XL, XE, TT, and Falcon computers as well exhibiting the MIST FPGA re-implementation of the Atari TT, and making the first public demos of Xformer 10 and HATARI emulators compiled for long battery-life ARM64 laptops such as Lenovo Yoga. We plan to return to VCF 2020 showcasing "30 years of '030 machines" and debuting our new 68030 emulators for ARM64 devices. SoftMac for ARM64 is coming! 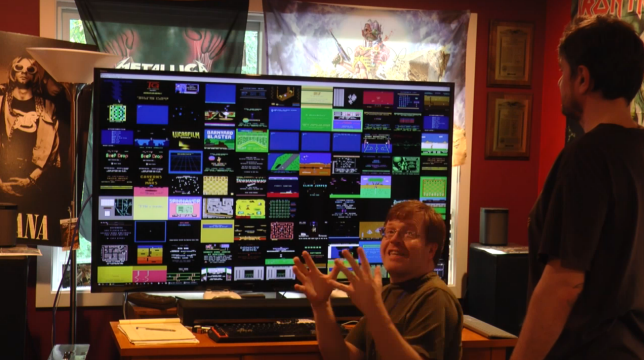 Run hundreds of Atari 800 and 130XE games at once! Click the video above for a brief intro demo, or the video below for detailed 13-minute walkthrough of every... single... cool... new... holy... cow... I... didn't... know... I... needed.. this... how... have... I... lived... without... it... feature! Xformer 10 for Windows 10 is now available! ARM chips are not for toy devices anymore! Windows 10 is now shipping on ARM64 based tablets and laptops which feature long battery life, x86 compatibility, and fast 64-bit performance. The Intel Haswell processor has arrived! Darek looks at what makes this the most significant improvement to x86 in many years. The year of Smaller, Thinner, Faster: A look back a 2011. From AVX to Ultrabooks to Bochs 2.5, Darek looks back at 2011's interesting events and gadgets. Darek's latest paper on high-speed simulation techniques, presented at the 4th AMAS-BT workshop at ISCA 2011 in San Jose, California. A look back at what is still a very useful processor. An overview of the 2010 ISCA conference held in St. Malo France. A little bit more history about us. More than five years before Apple made the switch to Intel in 2006, our SoftMac emulator was already running unmodified Mac OS on Dell, Sony, and Gateway PCs in the late 1990's. We proved it was possible. On August 13th 2007, we started a public beta of the 9th generation of Gemulator and SoftMac, bringing Windows Vista compatibility and 64-bit Core 2 support to our flagship products. The final Gemulator 9.0 release was made on December 1 2008. Gemulator 9.0 is available as open source. Emulators.com has contributed code and optimization ideas to numerous open source emulation projects including vMac, Basilisk II, and the Bochs x86 emulation project, the gold standard of PC emulators, now supporting 64-bit Linux and Windows emulation! The authors of Bochs, Gemulator, and SoftMac presented the case for emulation on June 21 2008 at the AMAS-BT workshop, part of the ISCA 2008 computer architecture conference in Beijing, China. View the Virtualization Without Direct Execution paper and slides. Follow-up papers were presented at workshops at the 2010 CGO conference in Toronto, Canada, explaining improved Overflow Detection (paper and slides), and at the 2011 ISCA conference in San Jose on Fast Microcode Simulation (paper). Got an older PC? No problem! Our SOFTMAC 2000 and FUSION PC 3.0 emulators are best suited for use with 486 and Pentium based MS-DOS and Windows 95 systems. Download them and bring new life to your old PC. These emulators use under 1 megabyte of disk space and can be booted from floppy disk, CD-ROM, or the network without requiring prior installation to the hard disk. SoftMac 2000 CD-ROMs including Fusion PC and free Mac software are available free of charge. Send a self-addressed stamped disk mailer to receive your SoftMac 2000 CD-ROM. 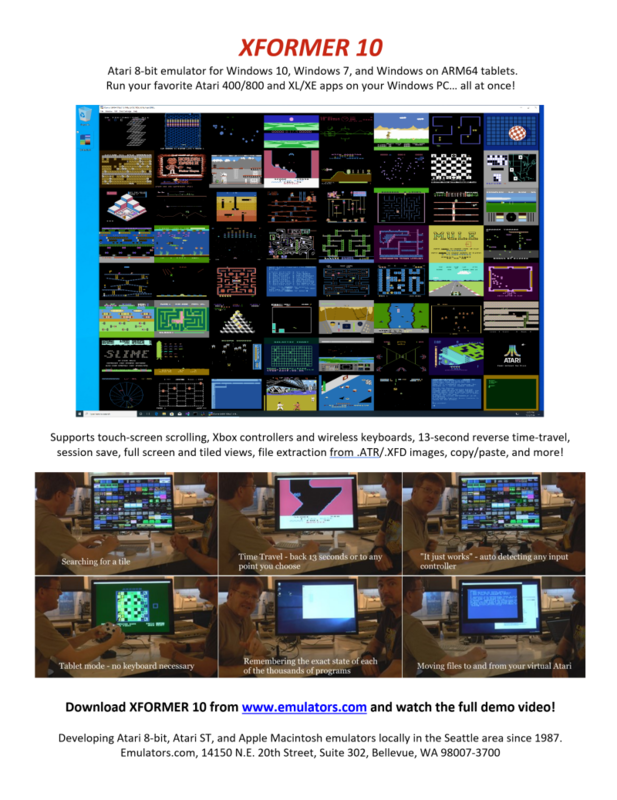 Our site also features the free Xformer Atari 400/800 emulator, and Gemulator, the original Atari ST emulator. The fundamental design of the microprocessors that power Windows, Mac OS X, and Linux is flawed. 20 years of security promises have fallen flat, leading to consumer frustration and a malware epidemic. How can emulation fix this mess? Tips for getting the most from your Apple Mac, Windows PC, or netbook. Writing efficient code means understanding the pitfalls of the hardware. Find out which PCs our products run on and how fast they run. Now with Intel Core 2 benchmark results. Official releases of SoftMac, Fusion PC, Gemulator, Gemulator Explorer, and Xformer. Latest product announcements, emulation news, and show updates. Our mission and contact information. Need help getting started with our products? Want a better understanding of emulation? Your questions are answered here. Do you need to read a Macintosh or Atari ST disk on your PC to copy over a few files? All you need is our free Gemulator Explorer utility! Find out more about SoftMac - the Apple Macintosh emulator for Windows. Check the hardware requirements for your PC, download SoftMac, and learn how to install it and run it. We've got some great reasons to upgrade to Windows XP. And lots of handy tips! Pictured above: the CALAMUS SL desktop publishing program for the Atari ST, running in a virtual Atari ST desktop on Microsoft Windows using the Gemulator 2000 Atari ST emulator. In the summer of 1992 we launched the world's first Atari ST emulator - GEMULATOR. Originally designed for 486 processors running MS-DOS, Gemulator 2000 emulator offers fast Atari ST and STE emulation on Windows 95, 98, 2000, and XP. Run TOS, GEM, Calamus, Pagestream, GFA Basic, and other Atari ST and Macintosh Plus software on your PC. Find out how with Gemulator 2000. 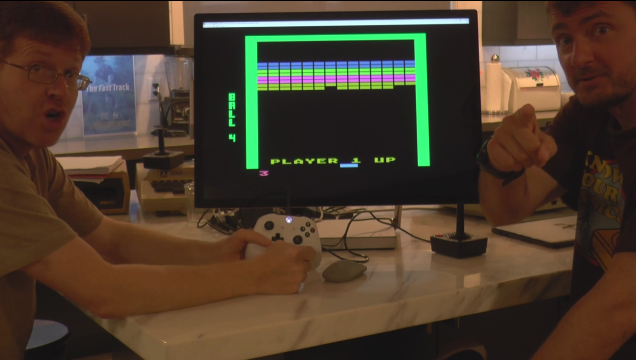 Pictured above: two virtual Atari 800 windows running on Microsoft Windows using the Xformer 2000 Atari 8-bit emulator. Each virtual Atari 800 is running a completely different program - one is running Atari BASIC, the other is running the well known game STAR RAIDERS. We released the world's first Atari 400/800 emulator - XFORMER - in January 1987. Today we offer the free Xformer 2000 emulator which runs Atari BASIC programs and Atari 8-bit video games on Windows 95, 98, 2000, and XP. Running Atari 8-bit software on your PC has never been easier. Find out how with Xformer 2000. Copyright © 1996-2019 Emulators, 14150 NE 20th Street, Suite 302, Bellevue, WA 98007, U.S.A.
We try to respond to within 48 hours.